This is my entry for the July Challenge for Scrap the Boys challenge site. I LOVE this site because the LO's you have to submit must be centred around BOY LO's. This well and truly suits me being the mum to 3 boys! 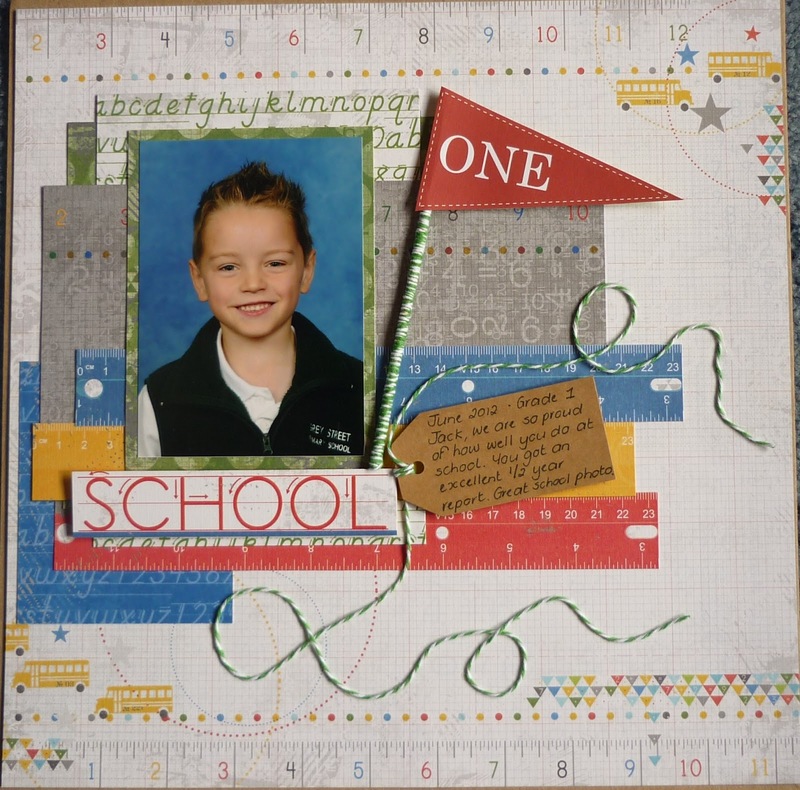 This months theme was "school". 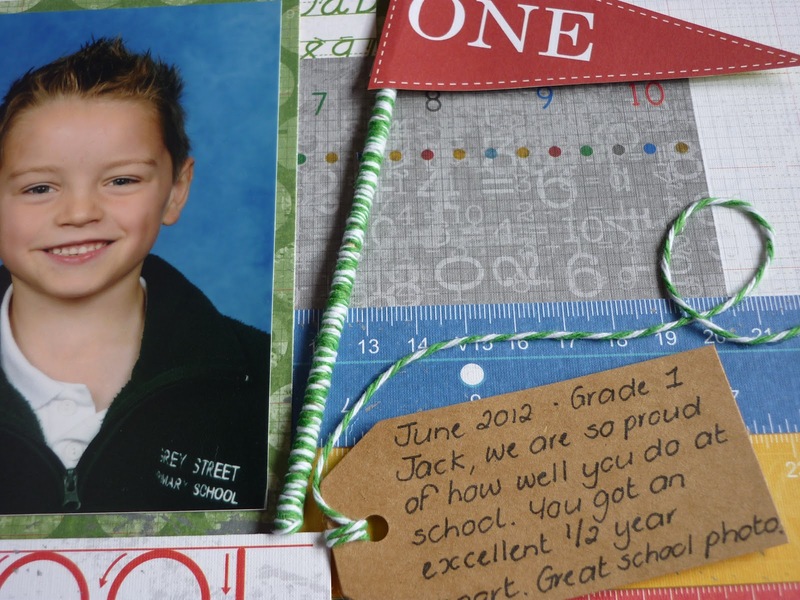 I have scrapped Jack's recent Grade 1 photo. Hope you like it. Thanks for stopping by. Here is a close up of the flag. I love twine at the moment and used a wooden skewer and wrapped twine around it for this effect. Super idea with the twine and the skewer. Love the papers too! Thanks for playing along at Scrap the Boys! Thanks so much for playing along this month at STB!